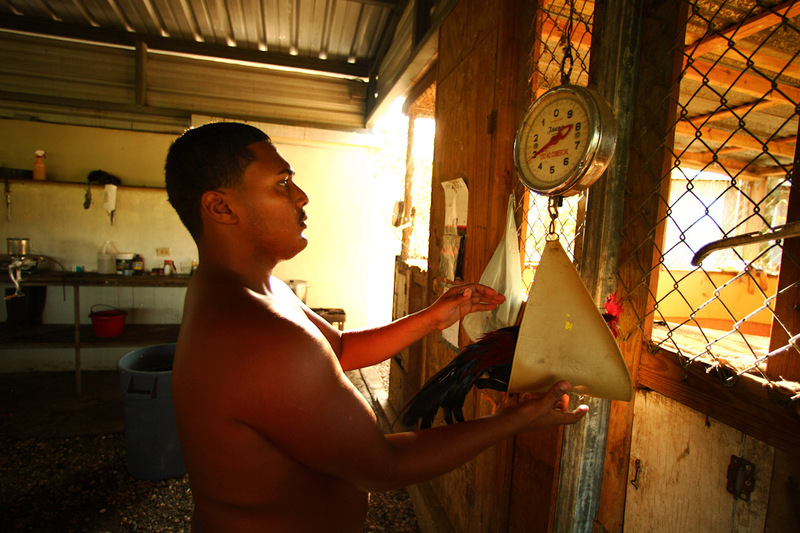 Fighting rooster trainer Jesus Albizu, 21 years old, weighs a fighting rooster prior to a sparring session at the Dora Alta Farm on November 9, 2006 in Toa Alta, Puerto Rico. The roosters get weighed in to be matched evenly to fight in the cockfighting arena. Albizu has been training roosters to fight since he was a little boy.